It’s our UCaaS platform. It’s our evolving brand. And for our Channel Partners like you, it’s an opportunity to succeed in ways you’ve only dreamed about with cloud communications. CoreNexaTM grew from a steadfast dedication to providing our Channel Partners with a platform that enables exceptional success in building a strong cloud communications business. 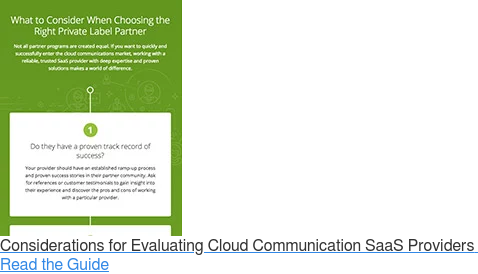 After spending more than a decade developing the most competitive model for Partners to sell, deliver, manage, and invoice for cloud communications services, we’re devoting focus to the rich end user experiences your customers expect. This focus provides you with a platform that makes modern business communication more efficient, enhances Partner opportunities by providing added-value to your current market share, and makes it possible to go after a larger portion of the UCaaS market. CoreNexa improves the productivity and capabilities for all end users with a powerful Unified Communications Client and fully integrated mobile application, a class-leading omni-channel Contact Center and proven administration platform. By exceeding end users’ expectations, CoreNexaTM will empower you to be more successful than ever before while maintaining your core ability to sell, deliver, manage, and invoice. Our new focus is on the end-user experience that we believe will give our Partners the opportunity to expand their share of wallet with their base and go after a larger portion of the market. 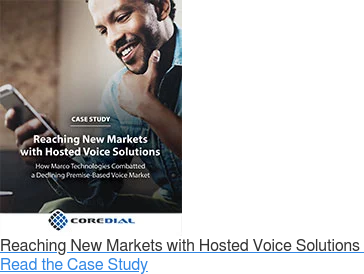 CoreDial’s goal continues to be improving the overall experience of business communication as well as enhancing opportunities for partners while maintaining your core ability to sell, deliver, manage, and invoice. CoreNexa is our new platform that was created to fulfill an industry demand for modern, multimedia end-user cloud communications solutions like UC Client, Mobile, and Contact Center as a Service. Since 2005, CoreDial has had a thoughtful focus on providers and administrators, building solutions that simplify the back-office administrative tasks of cloud communications. Partner success has always been the cornerstone of our business and we base our decisions on how to best help you grow and succeed. Upon realizing that shifting focus to the end user increases Partners’ opportunities to compete in the market, we began looking at Unified Communications differently. The new focus allows you to offer customers broader, end-user UC services on the strongest, most complete platform. With CoreNexa, your vehicle for success has been enhanced and your opportunities have exponentially increased. We’re excited about a focus on the end user and building an awesome experience through new solutions that will greatly improve the way customers communicate and collaborate. CoreNexa has the power to greatly increase your marketability, stickiness, product portfolio, and recurring revenue. With our CoreNexa Unified Communications Client and full integrated Mobile application as well as an award-winning Contact Center and proven Administrative Portal, you have a complete solution suite that puts you at the forefront of the UCaaS space. With CoreNexa, we’re not moving away from our business model or core competencies, we’re strengthening and augmenting them. CoreNexa allows Partners to deliver a cloud communications platform that leapfrogs the competition and solidifies your position as a trusted advisor. Partnering with CoreDial unites you with an award-winning industry leader whose goal is to deliver the ultimate value to you and your end users. CoreNexa is more than just a private label platform — it’s the way you’re going to build a stronger cloud communications business with continually satisfied and confident customers. With CoreNexa, you can fully capitalize on the “National Strength, Local Service” value proposition that modern businesses increasingly demand. CoreNexa is designed to further help your business, not disrupt it, so we’re not changing anything about how you go to market. You can still use your branding for the applications and documentation, but you have the option to take advantage of CoreNexa through co-branding. If you'd like to learn more, please contact us.